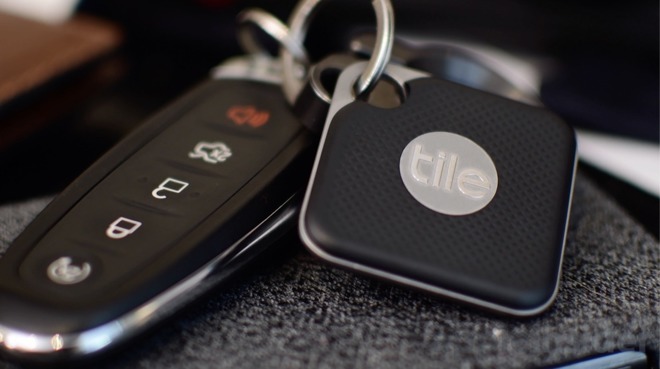 Tile on Tuesday released a pair of Bluetooth trackers, the Pro and updated Mate, with designs that — finally — accommodate user-replaceable batteries. AppleInsider got its hands on the products and takes them, as well as the new Tile premium subscription plan, for a spin. The new device duo is the culmination of years of work, and for many customers fulfills a long-standing request. 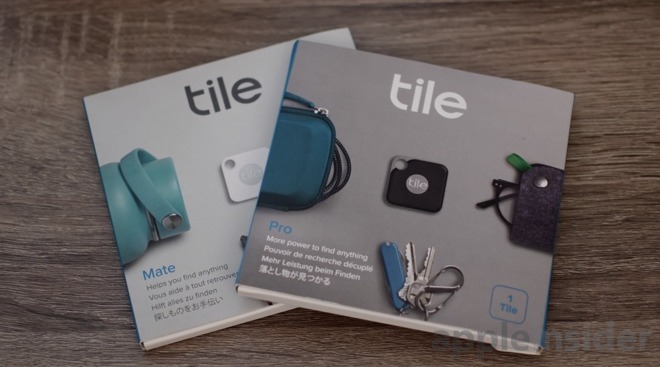 Tile has a tendency to iterate on past designs, which is what it has done here, but the company's latest releases appear to have tackled some oft-requested features in both hardware and software. While form and capability have changed, function has not. Tile physically attaches to any item and pairs with an iOS or Android device via Bluetooth to monitor its location. Once activated, users can ping a Tile tracker remotely to find a lost pair of keys, for example, or locate a dropped wallet with Tile's unique crowd-sourced Community Find feature. Tracking goes both ways, as tapping Tile's button prompts a host device to sound if it's within range, useful for finding a misplaced iPhone. The Tile Pro's aesthetic is similar to that of the Tile Sport. Both models have a dark exterior with metal frame wrapping around a textured plastic center. The new model clarifies the design with a thinner metal chassis that integrates nicely with its central housing. Tile Pro will now work from 300 feet away, 50 percent farther than the Tile Sport and Tile Style. The ring volume is also louder, which makes the two most important parts of the Bluetooth tracker better than ever. Tile has finally embraced replaceable batteries, meaning users no longer have to pick up a new model when their old one inevitably dies after a year's use. With a standard CR2032 cell-style battery inside, Tile's serviceable lifespan has greatly increased. Another small tweak we appreciate is the integrated key ring loop. The metal around this area is thinner, and the hole itself is larger, making it easier to get the Tile on or off. We will say that the new model feels a little lighter — cheaper — compared to the Tile Sport, though it does feel just as solid. Compared to the Mate, Tile Pro is louder, more durable, better designed and works from farther away. Those extra features will run you $35, $10 more than the Style and Sport. From the exterior, the new Mate is a spitting image of its predecessor. It is still small, thin and mostly white. The differences are quickly apparent when turning the device over to view its back, where three speaker ports and new battery access door are located. To accommodate the replaceable battery, and possibly the louder speaker, Tile was forced to increase the size of the device. It is a hair larger in all dimensions. Though noticeable when compared side-by-side with the older Mate, the chunky size won't be a deal breaker. The updated version of the Tile Mate now has a range of 150 feet, up 50 percent from the last generation. Like the Pro, the speaker is much louder, a plus for finding items buried in piles of clothes or stuck in the sofa. Tile Mate costs $5 more than the last generation, running $25 for a single unit. The price increase is more than worth it with a replaceable battery, as the tracker will last much longer than a year. In the past, Tile batteries were non-replaceable, meaning the entire tracker had to be replaced on an almost yearly cycle. This recurring business model undoubtedly provided Tile with additional revenue. With the move to replaceable batteries, Tile is looking to supplement lost profits with Tile Premium, a new subscription service that provides users with a pile of bonus features for a subscription fee of $2.99 a month or $29.99 a year. All Tiles are covered under the subscription, which gets them two additional years of warranty protection. A limited number of free battery replacements is available for supported trackers, so you don't have to worry about picking up spares. On the software side, subscribers get access to Smart Alerts that notify users when they leave an area without their Tile, unlimited sharing of owned Tiles and 30 days of saved location history. We've used Tiles for years, as well as other Bluetooth trackers. Tile has been hands down the most reliable out of the bunch, but it has always been hampered by a high price tag and non-replaceable batteries. This year, Tile has solved at least one of those problems. Even though the price still trends toward the high side when compared to the rest of the market, user-replaceable batteries significantly extends the product's lifespan. Of all the enhancements, our favorite feature isn't even exclusive to the new devices. 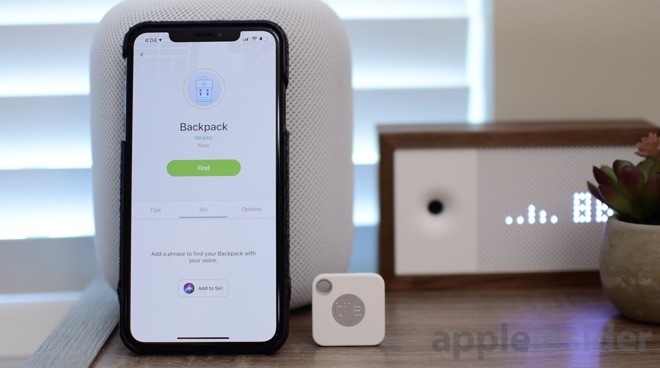 With Siri Shortcuts, you can now ask Siri whenever you need to find your keys, remote, bag, wallet, camera or anything else that might be misplaced. With iCloud synchronization, Shortcuts works from your iPhone, iPad and even your HomePod. 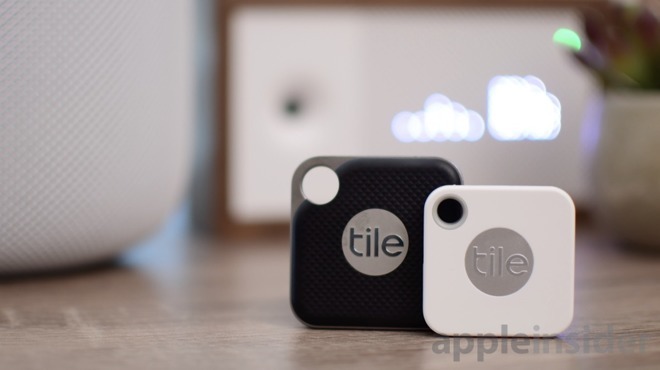 Tile's line of Bluetooth trackers is widely available, with the new models available on Amazon and from Tile directly.